I quickly jumped in the car to snag the keys before anyone else could spot the choice and popped the trunk while I was inside. Our single suitcase for the long weekend fit easily into the surprisingly spacious trunk of the convertible and we were soon on our way. At first glace, the Mustang's styling remains solidly retro-chic, with cues that manage to make it appear both modern and retro at the same time. The retro cues, including the inspired sequential blinking rear turn signals, allow the car to borrow from its heritage, while the modern touch of the LED daytime running lights and clean, simple lines keep the car from looking out of date. 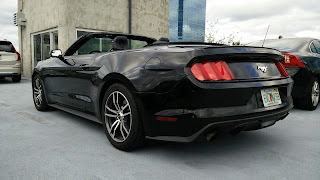 Among the current generation of retro-inspired pony cars, the Mustang is easily still my favorite, although the convertible does leave something to be desired with the top up. Sporting clean, but not particularly exciting wheels, the look is simple enough to be clean, but not so boring as to be forgettable. 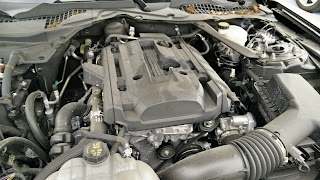 Since there are few cues on the exterior to distinguish which motor the car was packing, I had to observe carefully for the few clues that the car could provide. Given that it is a rental car, and that it was being offered through the Emerald Aisle, there was pretty much no chance this would be packing Ford's beloved Coyote V8, which left the V6 and EcoBoost motors as possible options. A few brief moments behind the wheel and it became quickly obvious that this was the EcoBoost unit shared with the Focus RS. Making 310 hp and packing 320 lb-ft of torque from a compressor-fed inline-4, this motor was originally thought of as being sacrilege since the last Mustang to be offered with 4-cylinders was universally considered one of the worst iterations of the nameplate in history. 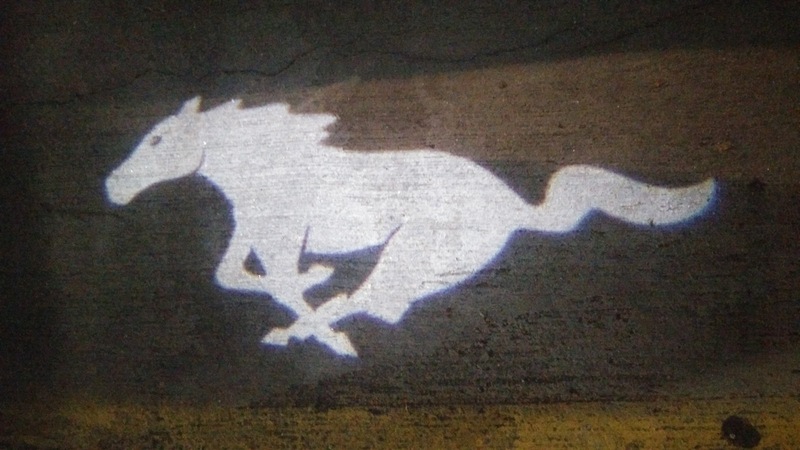 Luckily, this new motor does a wonderful job of redeeming the idea of a 4-cylinder Mustang. The turbo motor delivers excellent torque from low rpms, exhibiting only just the slightest hint of turbo lag. Power delivery down low is punchy, and certainly not as smooth as what a 6- or 8-cylinder car could offer, but is admirable for the small displacement and relatively livable fuel consumption figures. Mated to the rather mediocre 6-speed automatic, the Mustang delivered admirable acceleration accompanied by just the right amount of noise of the turbo spooling up. The exhaust sound is certainly nothing to write home about, but the sound of the turbo is fun to listen to every time you dip into the throttle. 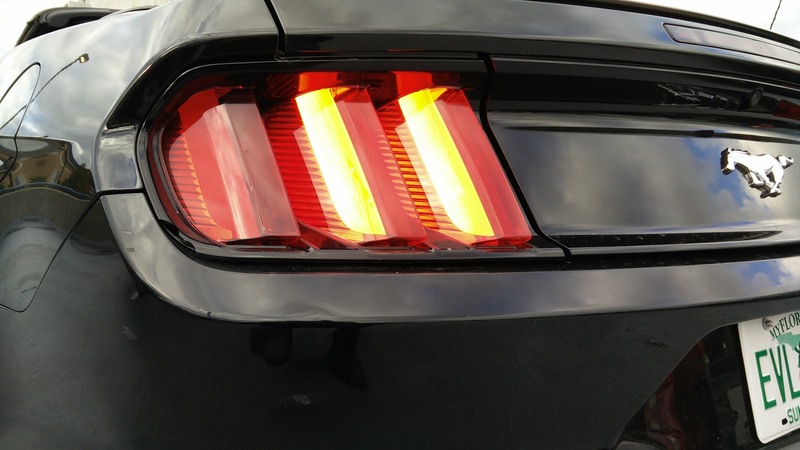 Unfortunately, this new Mustang still suffers from a problem common to muscle cars: it does not drive as fluidly as a true sports car. 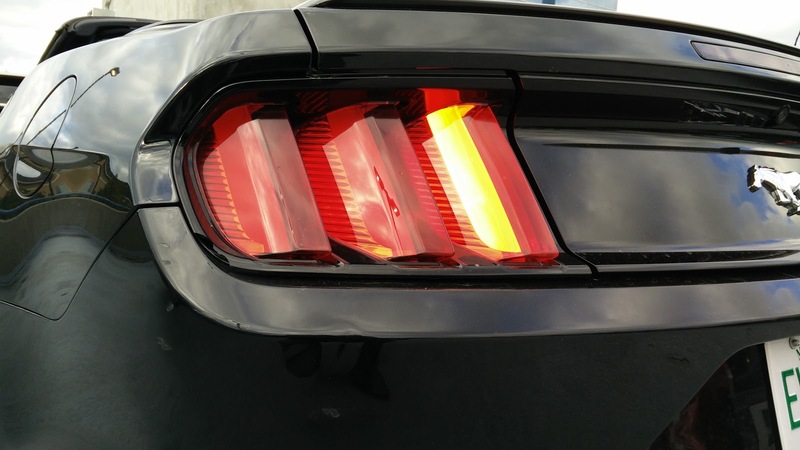 This newest version of the Mustang sports independent rear suspension and a whole host of improvements that should make it handle much better than its predecessors. On that front, it does not disappoint. Everything about the handling characteristics of this latest generation car far exceeds the performance of past Mustangs. 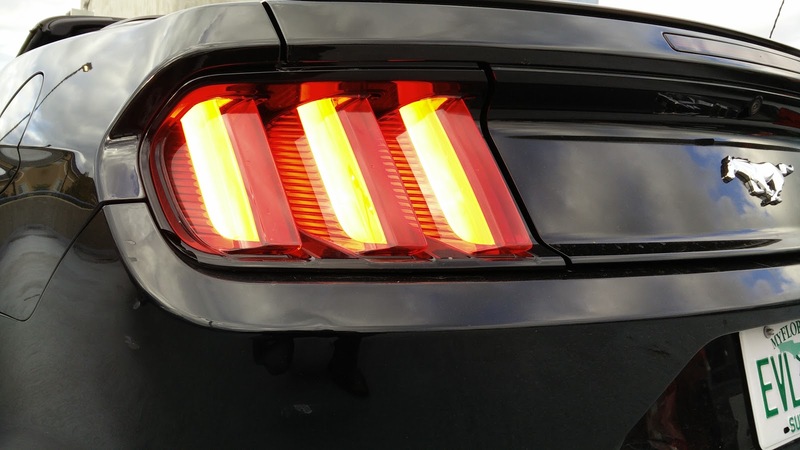 However, even those improvements were not enough to get the Mustang to feel like a true sports car. A combination of the steering and handling feel someone makes this car still feel huge. 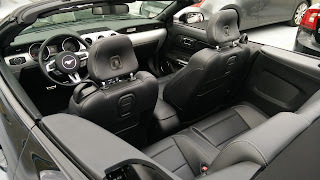 When I drove the Camaro SS a couple of years ago, it imparted the same kind of sensation where I simply did not feel as comfortable pushing the car to the edge because it just does not instill the same kind of instant confidence that I get when driving the Jaguar F-Type or the Honda S2000. That said, treat the Mustang as more of a GT car, instead of a sharp edged sports car, and it starts to make a lot more sense. Despite a bit of extra road noise due to the soft top, the Mustang's interior is not a totally unpleasant place to spend some miles on the road. The ride quality is quite good and the brakes feel more than up to the task of hauling the car down from freeway speeds. 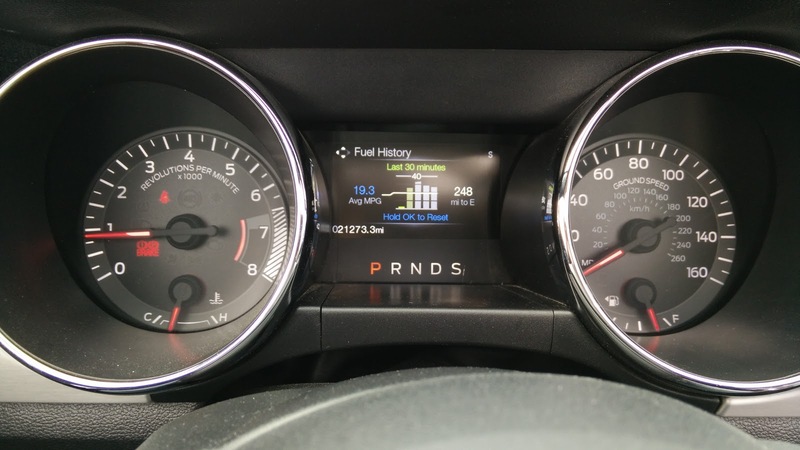 Fuel economy can be a bit low if you like push hard and listen for the turbo spooling, but stay out of the throttle and the car actually returns decent fuel economy. Ford's decision to include Sync 3, albeit this being an earlier version sans Android Auto and CarPlay compatibility, means that the infotainment is not a nightmare to use and actually adds to the overall usability of the car. 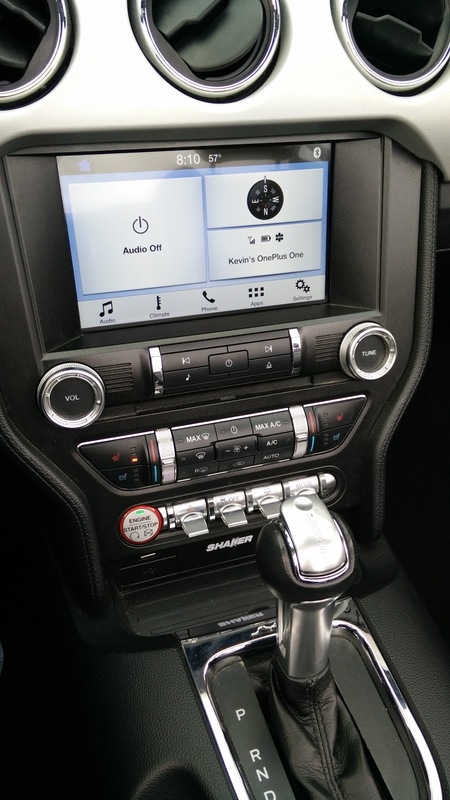 About the only thing that I can really harp on this car for is the mixed bag of interior materials, which cover such a broad range, one might think the interior designer was having an attack of schizophrenia when selecting materials. Still, as a companion for a few days, the Mustang proved entertaining and offered a taste of a new improved muscle car that continues to evolve towards being a true sports car, which a distinctly American character. 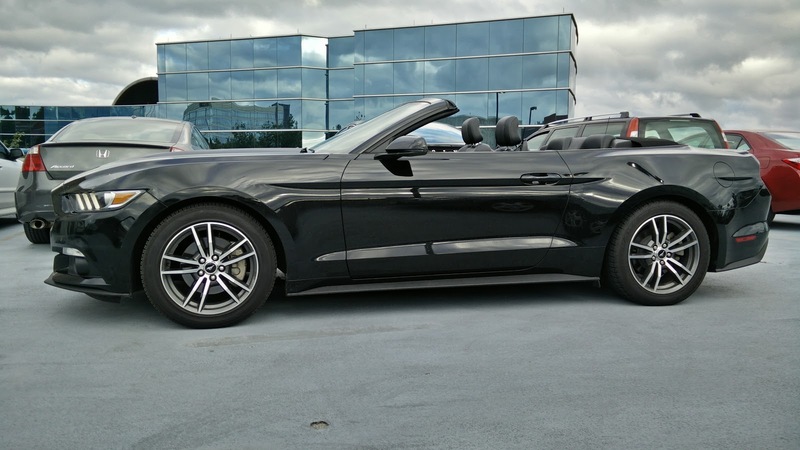 With the Ecoboost motor, this may genuinely be the first Mustang that could appeal to buyers the world over looking for a GT car with some classic American muscle car flair. For someone who prefers his sports cars a bit more edgy and his luxury cars a bit more posh, the Mustang's compromises do not suit my personal tastes well, but I can see how this will very likely be the best selling Mustang ever. To that, I say, "America! F*ck yeah!" Special thanks to National Rental Car for providing great options through their Emerald Club program. This is only part 1 of 2 of what ended up being an all-Ford weekend. Part 2 coming soon!